Originally established in 1969 as a vehicle for songwriter Tony Hiller, Brotherhood of Man was an ever changing line-up of session musicians until Hiller settled on an established group who went on to Eurovision and chart success in the UK and further afield. In their earliest iteration Brotherhood of Man had a hit in 1970 with the Hiller penned ‘United We Stand’ which went on to become an anthem at various football grounds and also a song featured heavily thirty years later in the post-9/11 recovery. It has been recorded by over 100 different artists and still remains popular today. 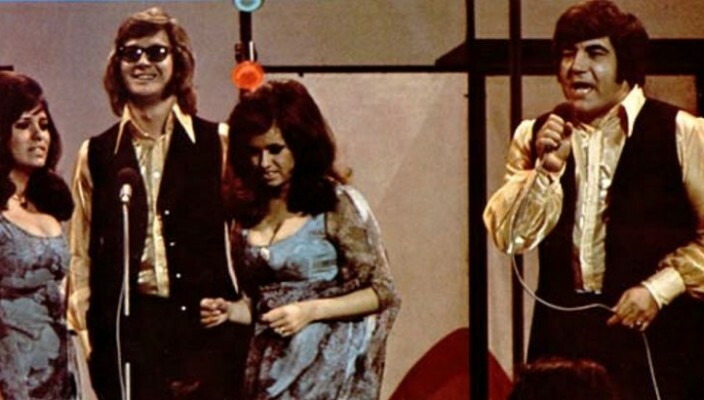 As a band Brotherhood of Man they have sold some 15 million records over the years although most of, in fact all of their hits don’t really feature on the VoEA jukebox. However, the whole point of our Unexpected Gems feature is to dig out those er, gems that tend to fly beneath the radar and here is our latest offering; Brotherhood of Man’s fifth single release from 1971 – ‘Reach Out Your Hand’ – once again written by the prolific Hiller, which only troubled the charts in the US reaching a not-so-staggering 77 in the Billboard chart. A classic slab of blue-eyed soul that deftly belies its roots and nods firmly in the direction of the Fifth Dimension and the whole psychedelic soul scene of the late 1960s and early seventies.